There’s a whole bunch of standing committees in the Pennsylvania House — 27, in fact. There’s 22 in the Senate. 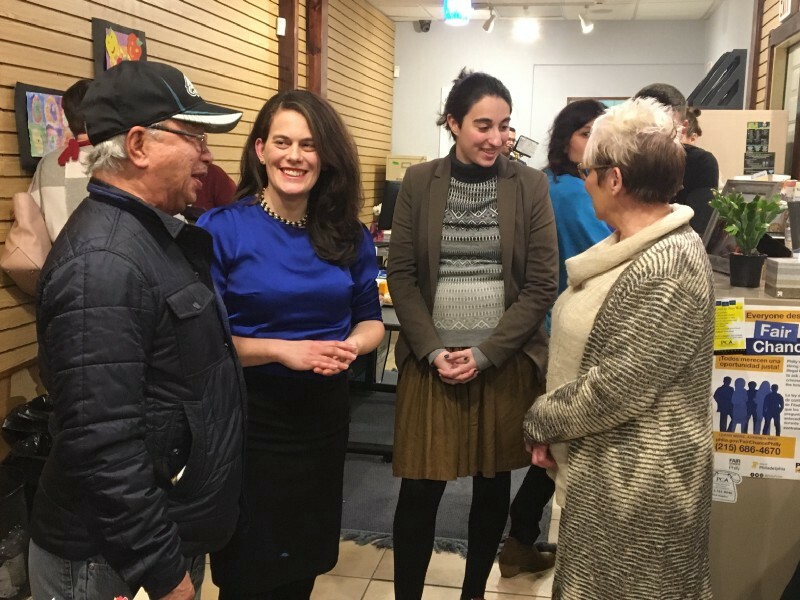 State Rep. Elizabeth Fiedler at her office opening in December. But there’s a whole bunch of standing committees in the Pennsylvania House — 27, in fact. There’s 22 in the Senate. SPR asked Fiedler what exactly serving on a standing committee entails to help give readers a better understanding of how their state government works. She said that when a member sponsors and introduces a piece of legislation, the House speaker — who right now is Republican Mike Turzai from the state’s 28th Legislative District in Allegheny County — assigns that piece of legislation to the appropriate committee. The Environmental Resources & Energy deals with issues of “clean air and clean water and making sure that we’re moving toward an economy that includes a lot of renewable energy sources,” Fiedler said. The Health Committee is more self-explanatory. It deals with healthcare, insurance and issues related to a woman’s right to choose. All members have a chance to rank committees in order of their preference, so they have some say in which committee they’re assigned to. According to Fiedler, the three she was assigned to were high up on her list. She expressed disappointment, however, that she wasn’t assigned to both the Labor & Industry Committee and the Education Committee. Because Republicans control the Pennsylvania House, they have 15 members on each committee compared to the Democrats’ 10. South Philly’s other House representatives, Maria Donatucci and Jordan Harris, also serve on House standing committees. Donatucci, who represents the 185th Legislative District, serves on the Appropriations, Labor & Industry, Liquor Control, Rules and Transportation committees. Harris, who represents the 186th Legislative District, serves on the Rules committee. The Rules Committee may not be as self-explanatory as the rest of them.